One pic taken last summer in Goteborg. Kungsportplatsen is the main square in the city center. 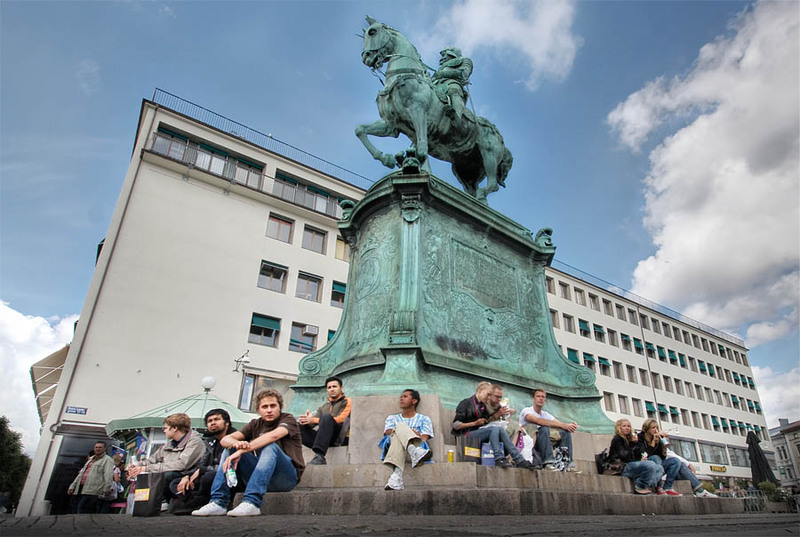 The big statue of Charles IX is a famous meeting point and a nice place to have a sunbath. I took the picture camera on the ground with EFS 10-22 lens. Postprocess includes an HDR done out of 3 pics and some adjustments with CS3 to remove "ghosty" people and get a bit more contrast.